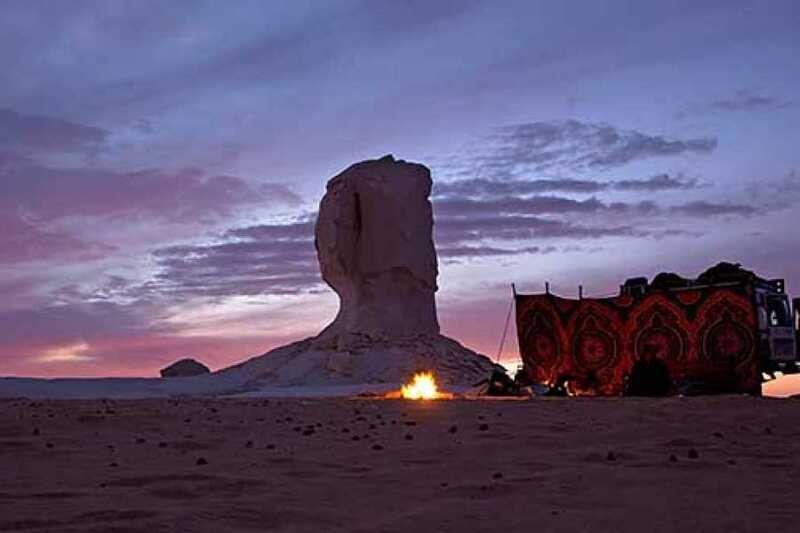 Our tour guide and driver will pick you up from Cairo airport and take you to Bahariya Oasis, about 350 km east. 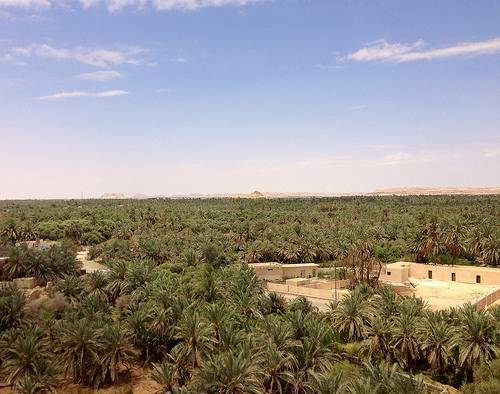 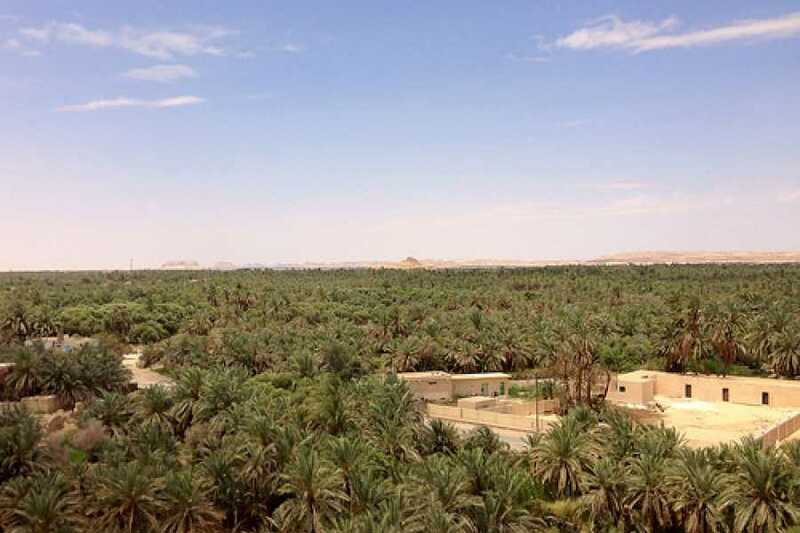 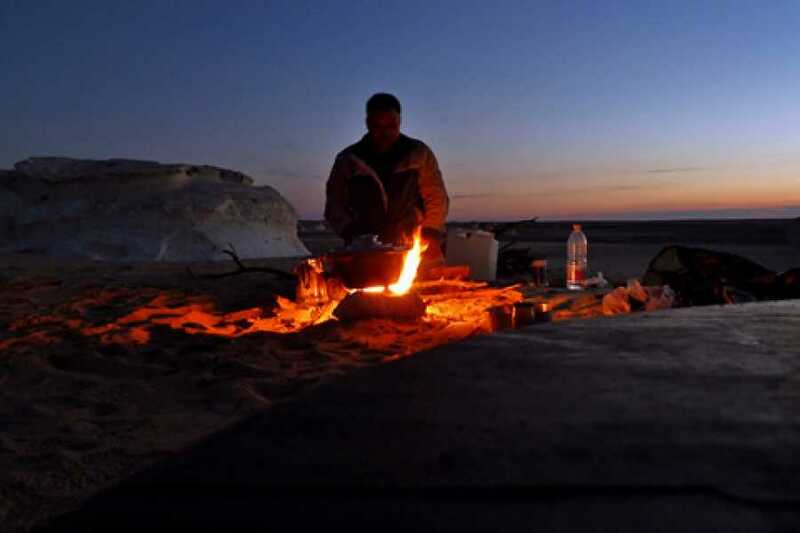 This journey takes about 4 hours: lunch will be served at a local restaurant at Bahariya Oasis. 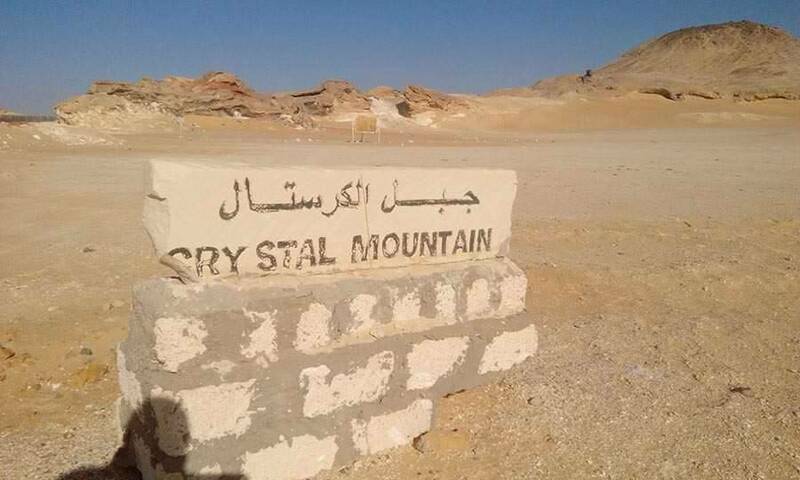 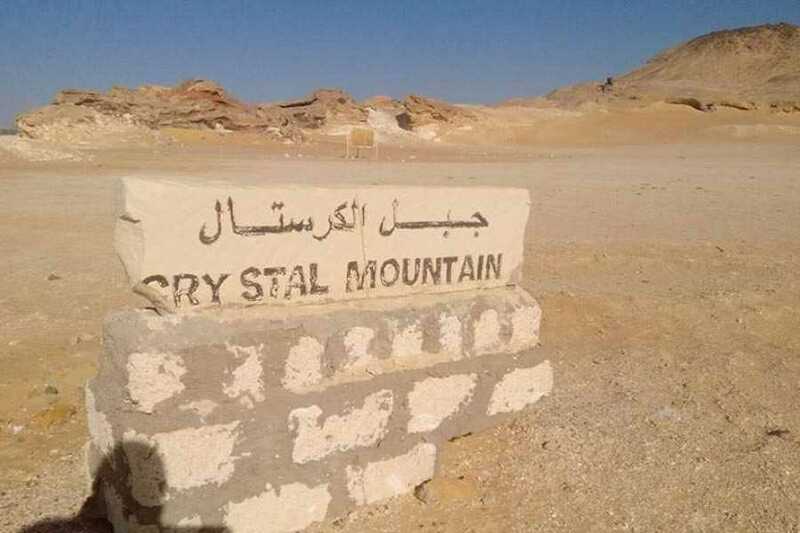 From here, you will continue on to the Black Desert, and the natural hot springs in the Valley of El Haize, before driving to the quartz crystals at Crystal Mountain, and the rocky formations in the Valley of Agabat. 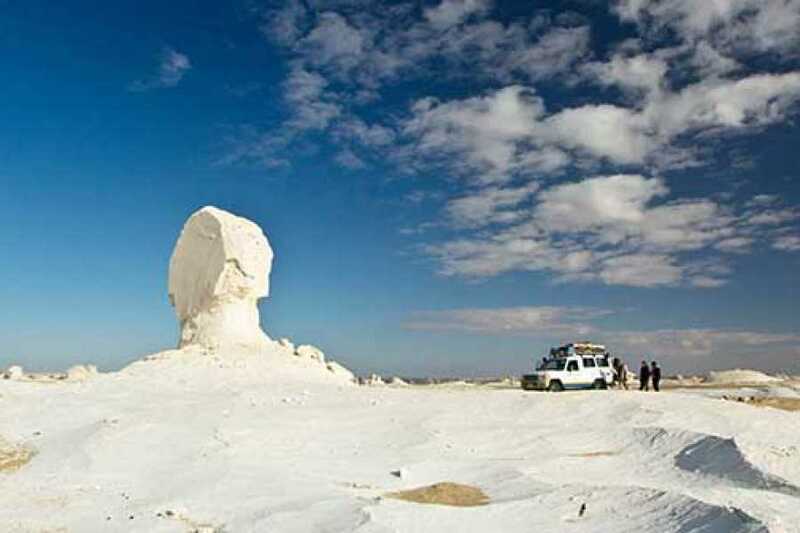 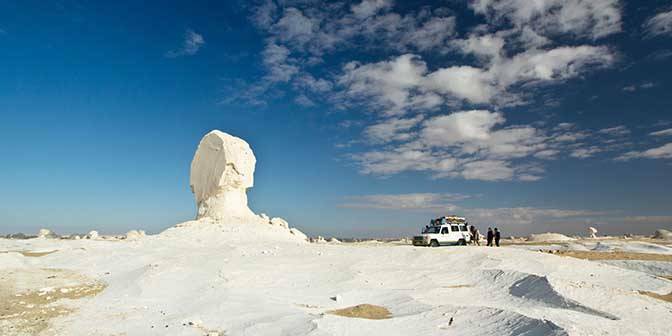 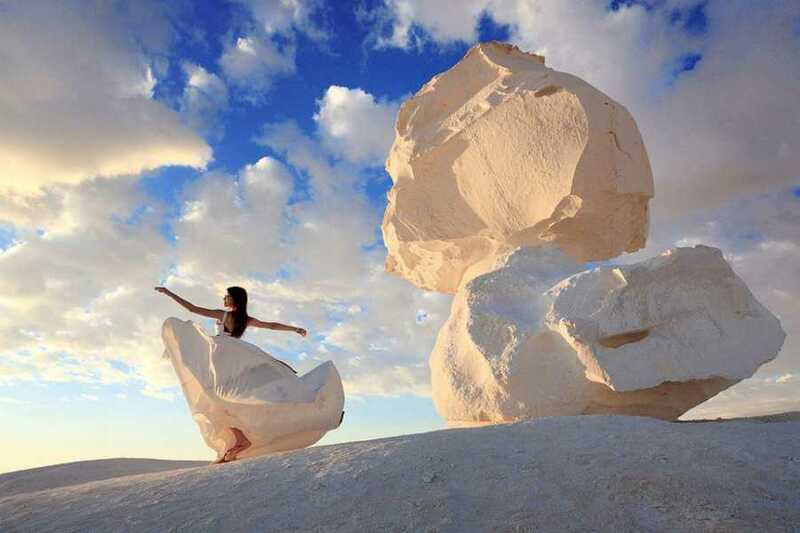 Later on, day one, explore the White Desert National Park, the most well-known desert destination in Egypt. 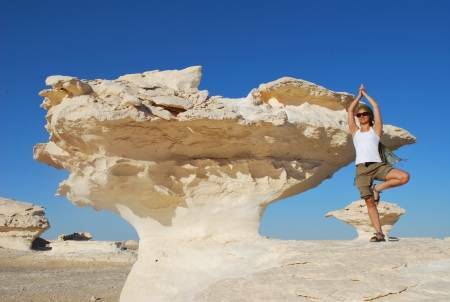 The quantity of unearthly and beautiful wind-carved rock formations shaped in the form of giant mushrooms or pebbles is unequaled by any desert in the world. 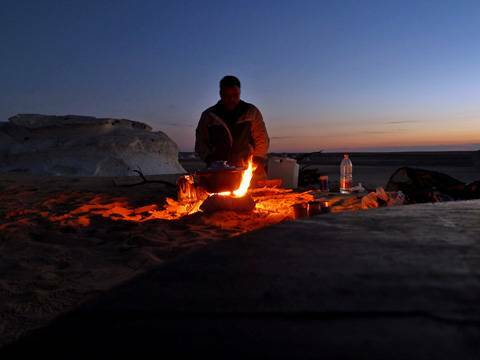 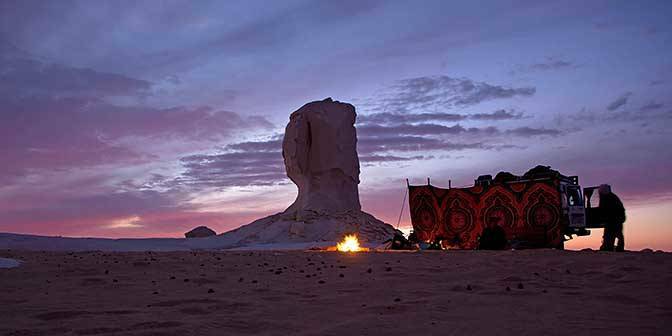 Arrive at the White Desert by sunset, and our Bedouin staff will arrange dinner and desert camping.